It’s the time of the year to remember. It´s time to remember those old friendships from our youth, our best passages during our childhood, but also those films which have become unforgettable. Those films that we would like to see again, well wrapped and with a bowl of pop-corns, laying in our sofá. The super classic movie is “It’s a Wonderfull Life”, directed and produced by Frank Capra. This film is a whole classic from USA cinema, and whose emission in TV has become a Christmas tradition. This film tell us the story about George Bailey’s life, a straight, honorable and generous banker who wants to commit suicide on Christmas Eve. His attempt to commit suicide is nowhere to go when his guardian angel, Clarence Odbody, shows up. His guardian angel takes him along the path of life of those people close to him, and show him how their lifes would be if he hasn’t been in them. Another endearing Christmas movie is “Scrooged” from 1988, directed by Richard Donner, with a screenplay by Mitch Glazer and Michael O’Donoghue, starring Bill Murray and Robert Mitchum, that make us live, in this hilarious comedy, the misadventures of Frank Cross. Frank Cross is a TV executive stingy, unpleasant, ungrateful and implacable, who is visited by three ghosts, from the past, the present and the future, which make them reflect on his way of being. We cannot ignore the adventures of Macaulay Culkin, Daniel Stern and Joe Pesci, in the comedy “Home Alone” (1990). In this film, its director Chris Columbus reveals the dangers of a rogue child’s adventures, who is forgotten by his parents when they go on Christmas holidays. This child would have to defend his home from two clumsy robbers who wnat to steal in it. This film is a 90’s classic, which is never out of date for its gags, and its soundtrack composed by John Williams. Home Alone is a film that you always want to see in this Christmas season. Love stories have always had an auspicious niche during the Christmas celebrations. A must-have movie, that we cannot miss is “Love Actually”. A British film, directed by Richard Curtis with a great cast of actors and actresses headed by Hugh Grant, Liam Neeson, Emma Thompson and Keira Knightley, who star in this romantic comedy. This film turns out to be irresistible for its funny situations, the warmth and laughter that awake this 10 love stories. 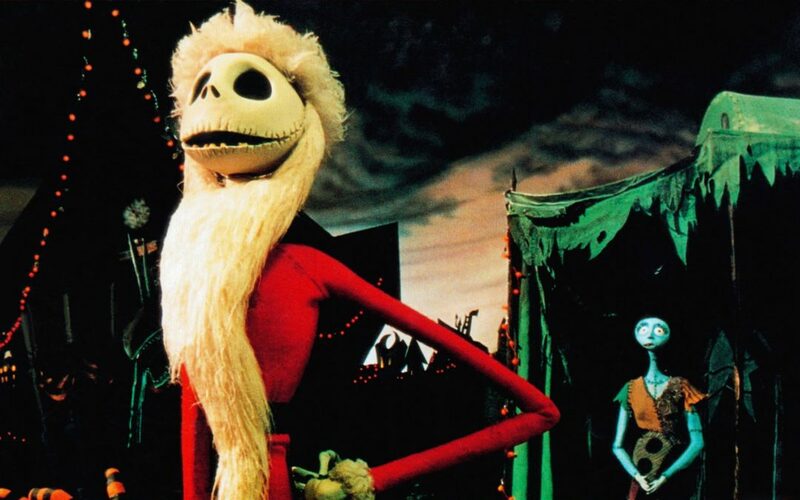 We can not forget a classic for all ages as it is “Nightmare before Christmas”, one of the most famous stories of Tim Burton, where Jack, tired of so much Halloween discovers Christmas and tries to adapt it to Halloween city, creating big confusion in the other citizens. A perfect story for this time and to see as a family. We must highlight the wonderful soundtrack and the great songs through all the film. Eventhough we have no named those typical films that we want to see again when the cold and the nougat arrive, we can not forget about movies like Gremlins, Groundhog Day, Jingle All The Way, The Nigthmare Before Christmas or The Grinch, movies that will always be in our minds and that our video library has saved in that special place called “to see at Christmas”.